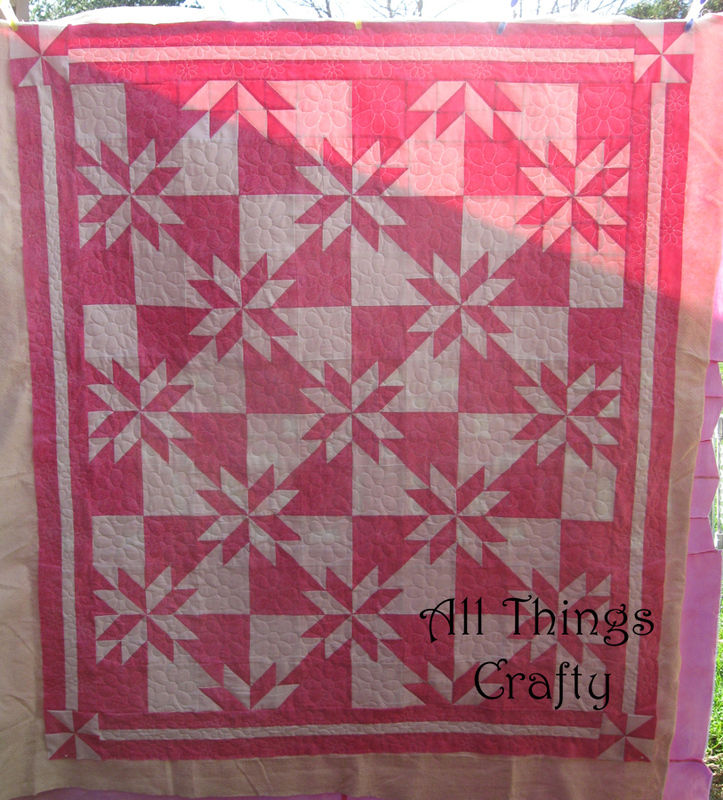 I completed all the quilting on the Hunter's Star Quilt this morning. I am shocked at my own progress. Once I turned the radio on downstairs and started quilting, it was done within two days. 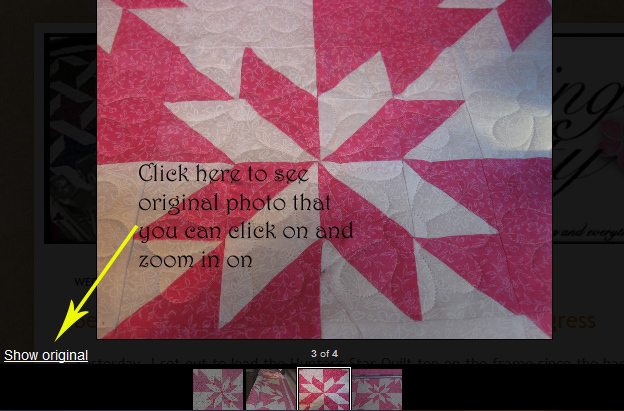 I also created a border design for the quilt using Art and Stitch software. I traced the daisies and created a small medium and large daisy to sprinkle on the border in different patterns. 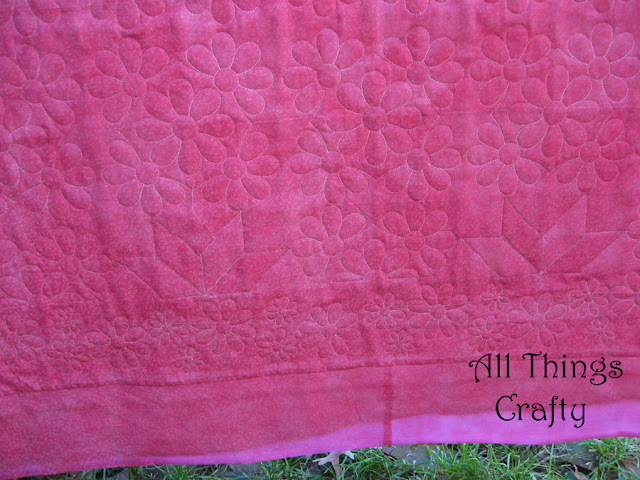 The block quilting pattern used is the Kitty and Daisies Block 13 design from One Song Needle Arts. If you want to see the photos closer up, click on the images. If you get the new blogger photo viewer (which I don't like) then click on the link to view the original image and then you can click again to zoom in on the photo. Here is the front of the quilt. 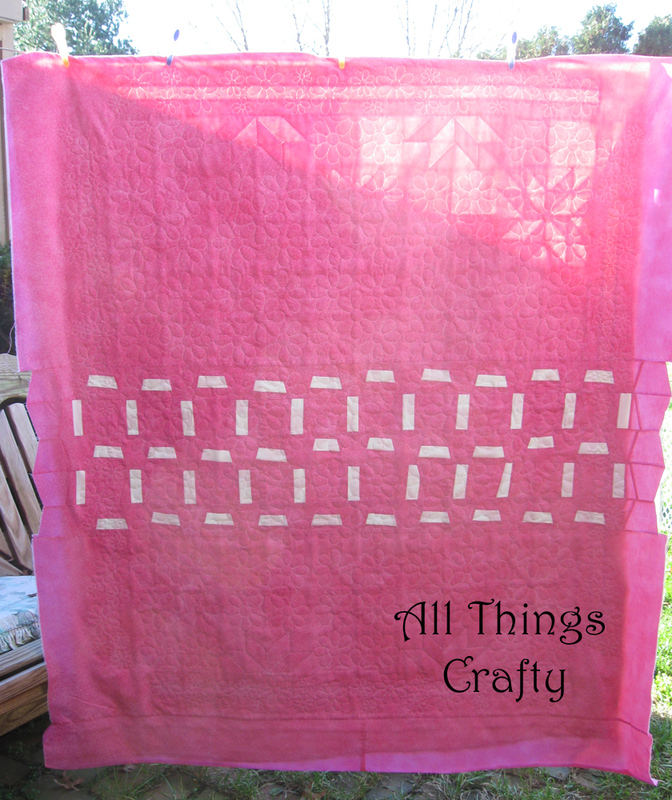 I photographed it outside to try and have the quilting show up. Here's the full back of the quilt. Next step, finish stitching the corner blocks, trim the quilt and add the binding and I can actually say it is completed.